But there are some months when the purse strings can’t always stretch to your favourite high-end product price range. Particularly when your oven decides to die on you along with your kettle and the iron, oh, and your car is due it’s dreaded MOT. So instead of leaving our precious mugs to suffer, (and all who have to look at us) sometimes you just need to find a more affordable range to see you through, which is exactly how I stumbled upon B. 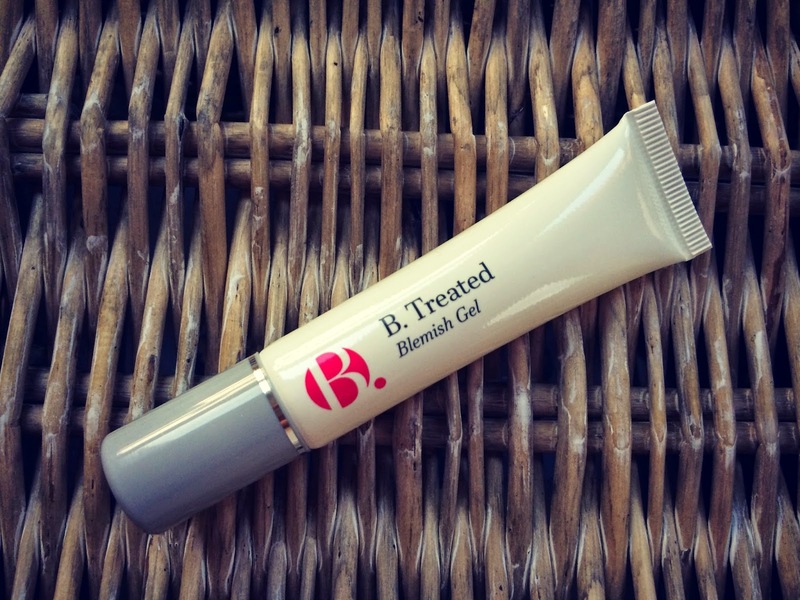 B. is a relatively new brand that is sold exclusively in Superdrug stores. The skincare range is specially formulated to suit women throughout various stages of life and their products are categorised into specific phases. ‘Phase 1’ is to be used in your 20’s and 30’s, ‘Phase 2’ in your late 30’s and 40’s and lastly ‘Phase 3’ created for mature skin from 50 years onward. You get the gist. I’ve been using Simple Face Wipes for as long as I can remember, so it made a refreshing change to use the B. 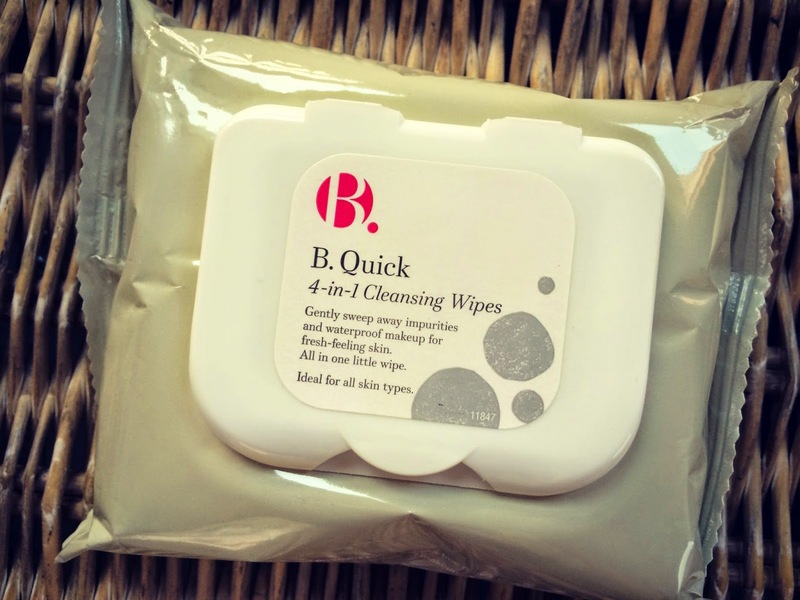 4 in 1 Quick Cleansing Wipes (£3.50). Designed to cleanse, tone, hydrate and condition your skin, they pretty much do everything you’d expect from a face wipe, including removing waterproof mascara. I particularly love the plastic reseal tab which prevents the wipes drying out. Bonus. There’s nothing worse than getting to your last face wipe and it’s as dry as toilet paper. Slightly confused as to what point in my skin care routine I should be using the B. 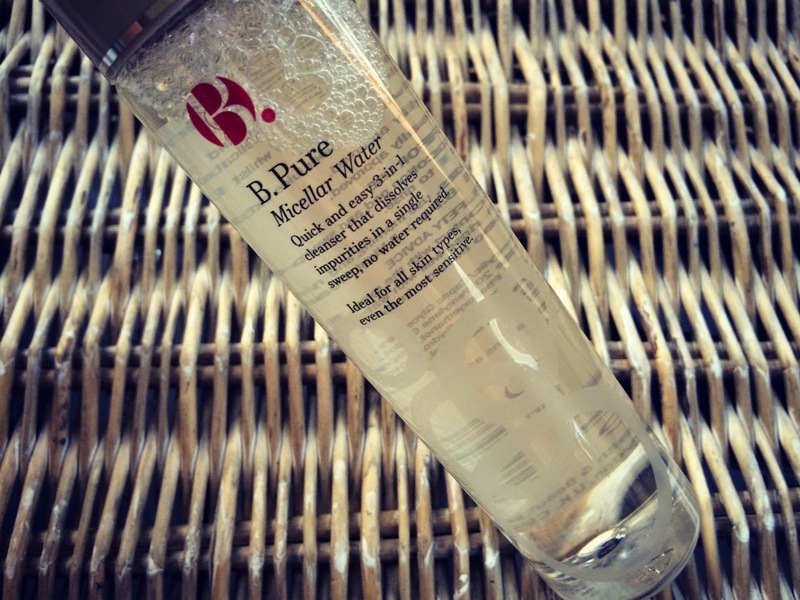 Pure Micellar Water (£4.99), but I’ve been winging it and using this as an alternative to face wipes prior to using my usual cleanser, on those days when your face needs a little something extra to wash away stubborn impurities. A little powerful on the skin with a strong scent, but applied to a cotton pad, it leaves my face feeling clean and taught. 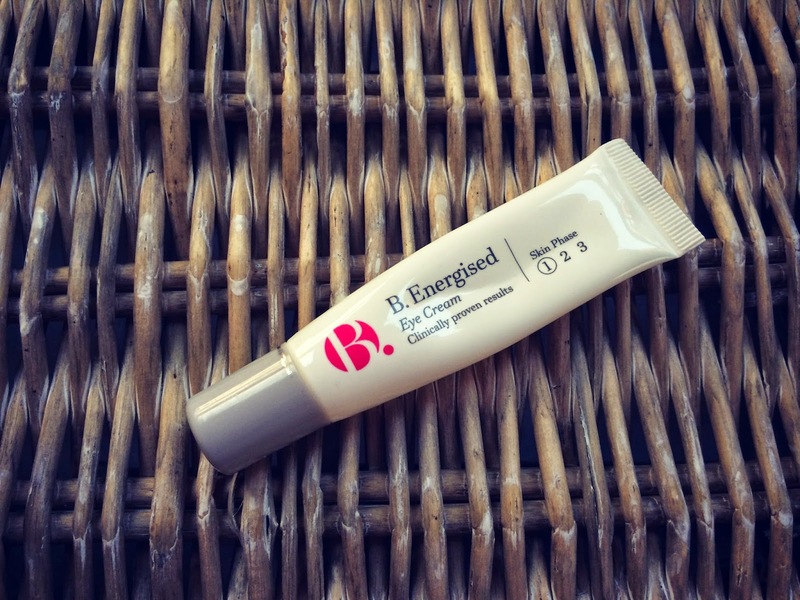 The B. Energised Eye Cream, applied gently around the eye area twice a day, is a gel like formula which soaks into the skin with ease and is said to reduce the appearance of puffiness and dark circles. Only decades will tell if wrinkle reducing ointments actually work, but for now it’s better to be using something rather than waking up in ten years time realising that botox is the only way to rectify my crinkled eye sockets. Which could still happen, but lets hope not. So in the meantime I’m more than happy with this little gem priced at £8.99 which for a relatively small tube, has lasted for some time. I’ve been meaning to pick up a night cream for a while now and the B. 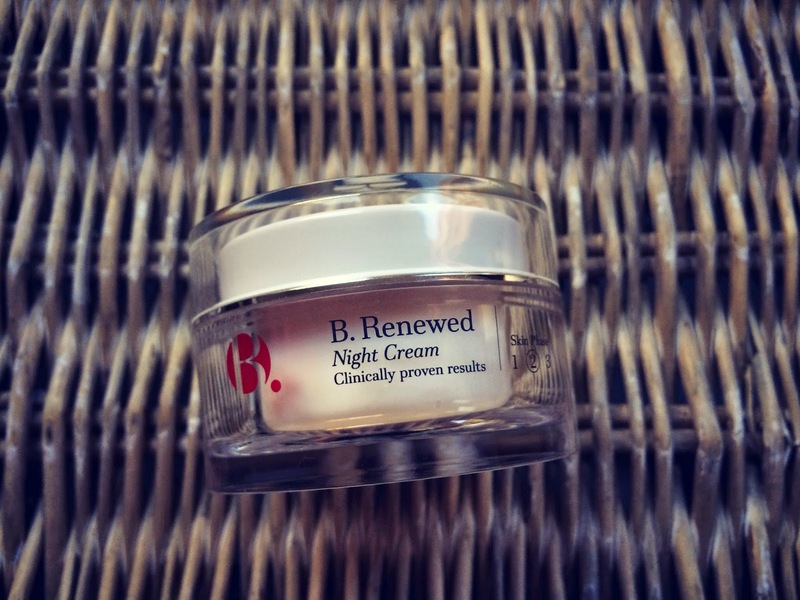 Renewed Night Cream (£11.99) seems to be proving a little gem in my nighttime skin care routine- which isn’t as fancy as it might sound. Most evenings I just about have the oomph to raise a face wipe to my chops, let alone trudge through a full four step program to achieve younger looking skin- I’d rather get into bed 15 minutes earlier. But since purchasing this product I’ve kept it by my bedside table and made a conscious effort to use it before hitting the land of nod. It’s thick and creamy texture leaves my skin feeling thoroughly moisturised and I’ve noticed that I’m waking up to a much softer complexion. Which gives hope that this product is having an positive effect on my mug whilst I catch those all important beauty Zzzz’s. Fab stuff. The B. Blemish Treatment Gel has been in constant use over the past month since my skin decided to revert back to my seventeen year old ache ridden self and has been particularly bad (largely down to my crazy hormones!) around my chin and nose area. Brilliant. This gel stung slightly when applied, which made me feel like it was working away to sooth and calm the troublesome areas. I’ve never been entirely convinced that blemish gels actually work in terms of getting rid of spots, but more a case of using something is better than nothing. So until my face decides to buck it’s ideas up, I think I’ll keep this little tube to hand. So if you’re looking for a new range of high street beauty products that wont cost the earth and have you hiding receipts, then it’s worth giving these little beauts a try. 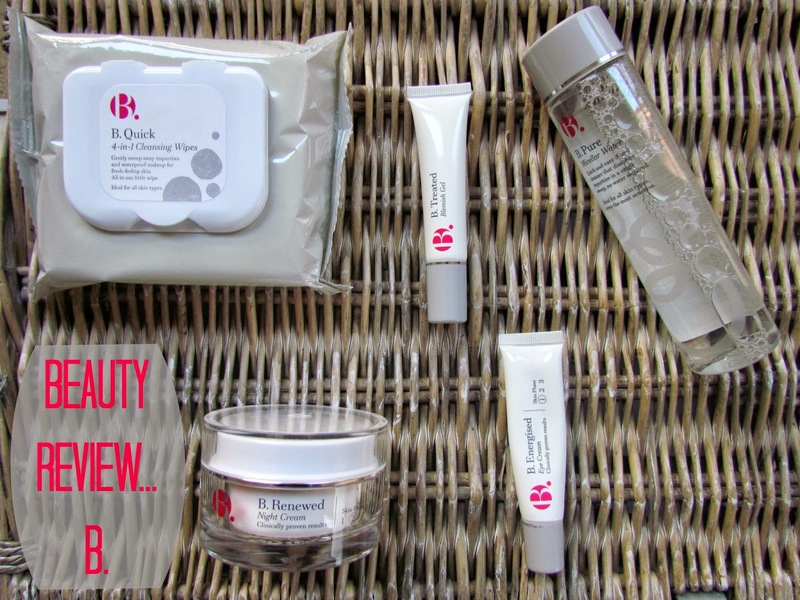 Have you tried any B. products? What are you favourite high street beauty products? Disclosure: This is not a sponsored post…I brought these lovely products with my own hard earned cash…oops- just don’t tell the Hubster!